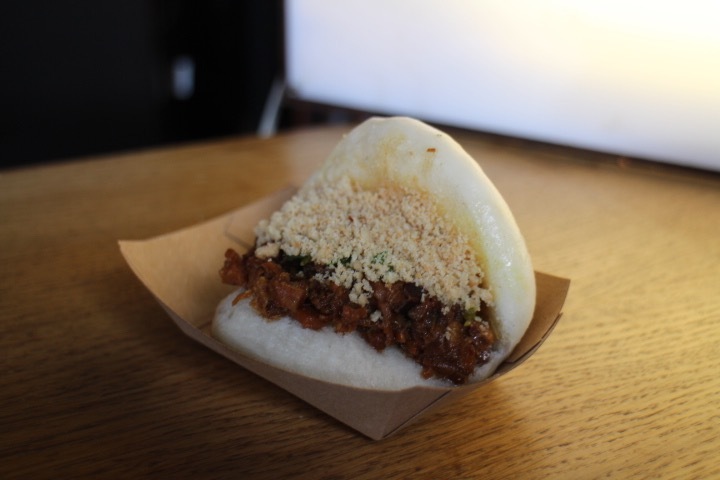 Bao Bar London has been on my hit for a while and each time I try to visit the original spot in Netil Market near Hackney. They were always away busy or never opened. Soho one was impossible to grab a spot without waiting in queues. I had a free Saturday and decided to try again! Fourth time lucky, as expected even just hitting after 12pm queues of people were forming for their 3 items on the menu. 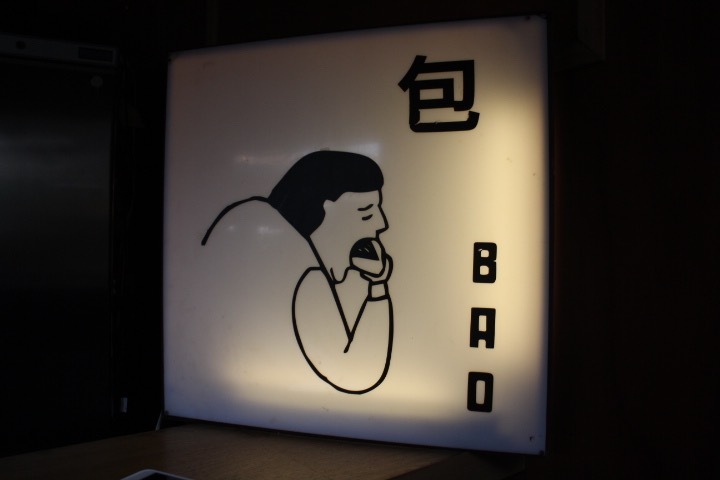 Original Bao Bar is a tiny place, only a 6 seats if you decided to sit in. By this time of day and with the lovely warm weather the benches in Netil Market were full. I grab a spot inside and the guys chirped and smiled whilst I easily placed my order for the two buns they had on offer. 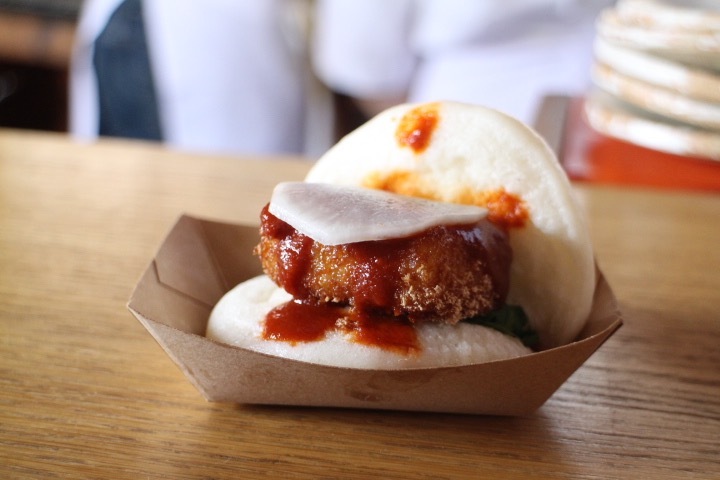 If you didn’t know Bao is the Chinese word for bun and it’s about the Taiwanese style half open buns filled with various fillings that has been hyped up in London scene lately. 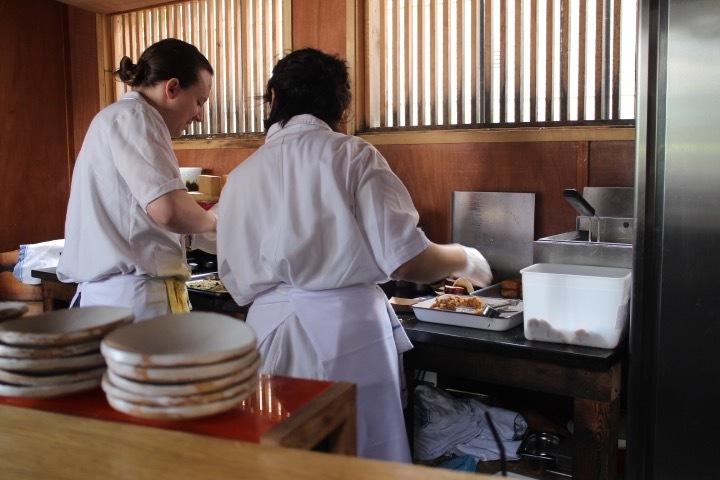 Bao Bar London does not disappoint, with orders coming every second I watched the two chefs cook and prepare the food. 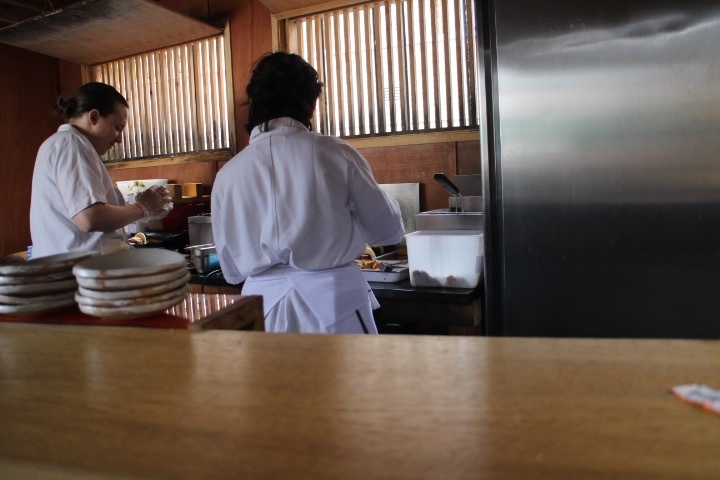 When my buns finally came, I knew what all the fuss was all about. The Bao itself is well made, unlike others I’ve tried. 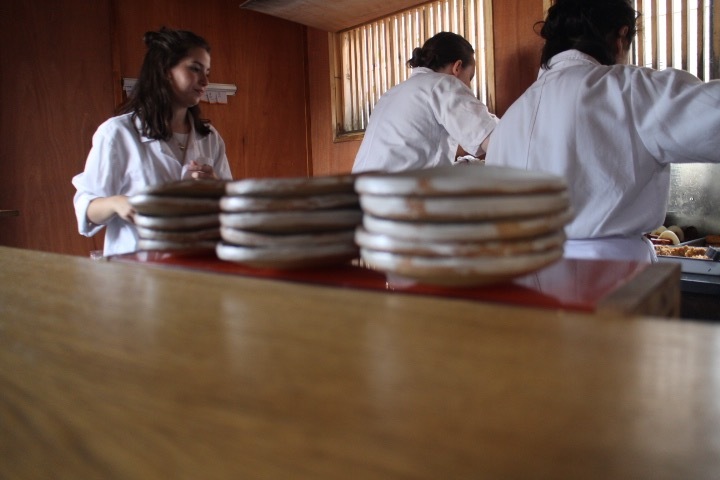 It is fluffy and slightly sweet, not too overcooked that the skin hardens. I had to get both buns on offer the classic bao filled with minced flavoured pork, greens, and floss. Although it’s a bit tiny on the portion side the filling combination is tastier and imaginative than the usual slab of pork belly and lettuce. The vegetarian one of offer tasted just as great, Japanese katsu breadcrumbs deep-fried with mushy daikon with slabs of a sweet chilli sauce. 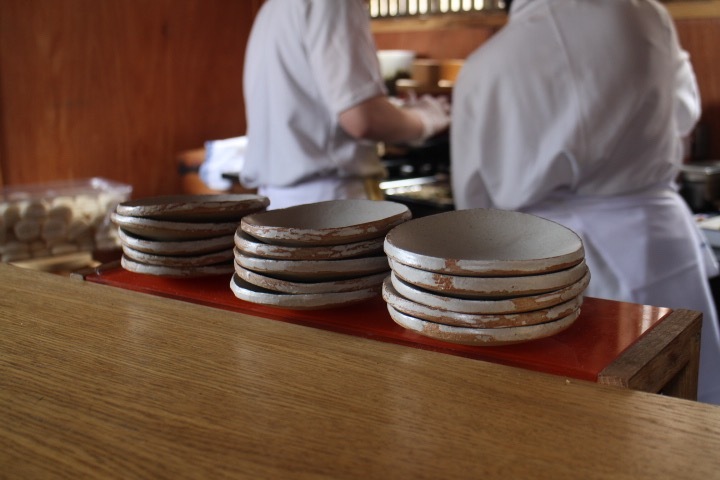 Both demolished within minutes, Bao Bar London is certainly one of the best Taiwanese steamed buns to try in London and it’s another excuse for me to visit the Soho and Fitzrovia branches for the extended menus. PREVIOUS« Soft Serve Society Review- premium ice creams, freakshakes and more!